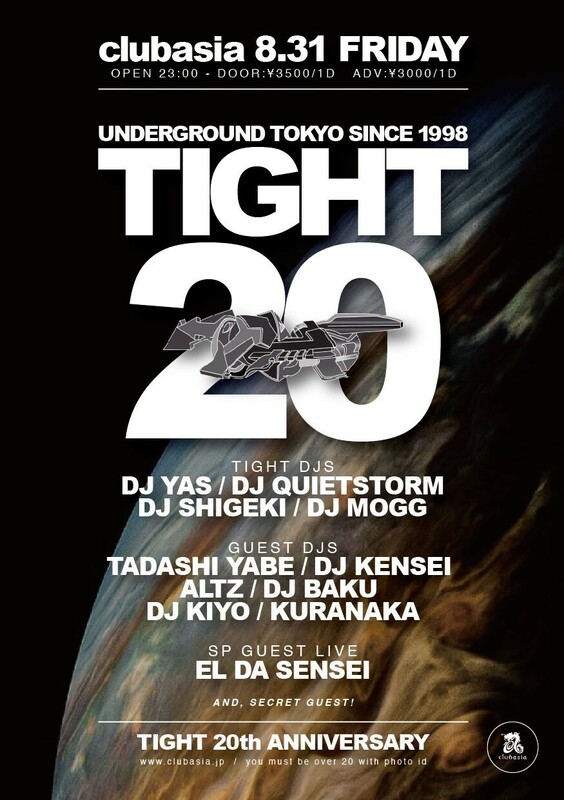 ARTISTS: DJ YAS, DJ QUIETSTORM (中目黒薬局 / RIGHTEOUS), DJ SHIGEKI, DJ MOGG, El Da Sensei (The Artifacts), TADASHI YABE (U.F.O.,), KENSEI, DJ BAKU, ALTZ, DJ KIYO, KURANAKA a.k.a 1945, MUTA, DJ TOYODA, RAITA DANJOU, DJ ICHIRO, DJ NAGA, Jamon Iberico (AON/Nill Brothers), DJ MICCO, SOWASOWA, DJ MASAKI, 7. Born in Kyoto, Japan. Kuranaka is a wild Japanese, an endangered species. He is a descendant of the temples of the one of the most famous Buddhist monk in Japan hostory, the initiator of the Buddhist incantation chanting, drumbeating, and dancing (origin of the Bon festival dance). He makes full use of his 11 faces and 1000 arms to continue to be the beacon of peace and revolution, from his underground performances in Japan. 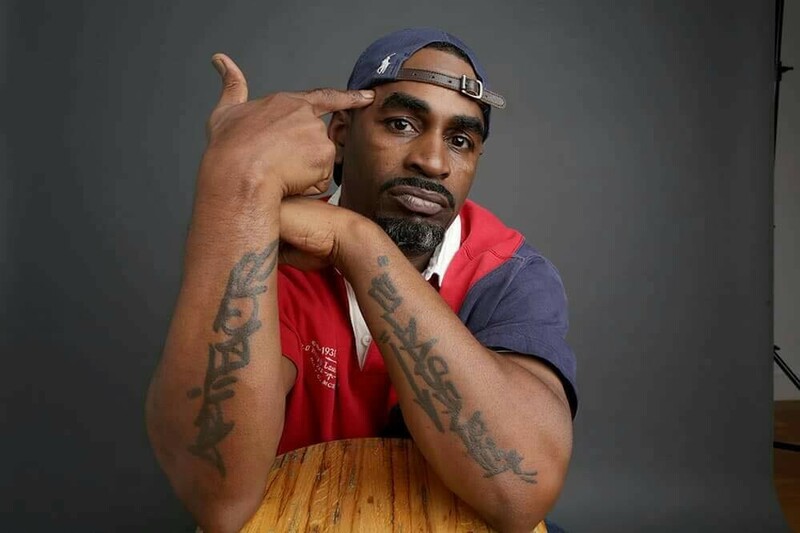 His riddim to be combined with his open minded instruments that build-up upon, the Super heavyweight bass that goes back and forth with the whole body, with dub effects that of a beast, letting the floor dance madly with joy. He's the head of Zettai-Mu and the Zettai-Mu label. He is a Dub/Jungle/Abstract and Japan Dance music pioneer who has been the undisputed leader in the genres for the past 20 years. He has performed at over 1800 gigs, and has organized more than 500 Dances until now. Zettai-Mu began in 1995, in Japan (Bay Side Jenny, Noon, Liquidroom, Unit, Yellow, Eleven, AIR, Rockets, Motherhall, Metro, Open Air and more) . Kuranaka (a.k.a 1945) also has been hugely successful with festival appearances throughout Japan, such as the Fujirock festival, Rainbow 2000, Asagiri jam, Metamorphose, Earth Dance, Nagisa music festival, Saturn, Outlook festival and the Spring up festival. such as art museums, the valley and seaside, the gap of the building and the top of the desk, and the close to your ears. among many more. Kuranaka has also toured Japan with Aba shanti-i, Jah shaka, Lee perry, Mad professor, The Orb, Cold cut, Reprazent, Smith&Mighty, Dj zinc, Shy fx, Boredoms, Tha blue herb, Audio active, Dry&heavy, Oki dub ainu band, Goth-trad and many more. 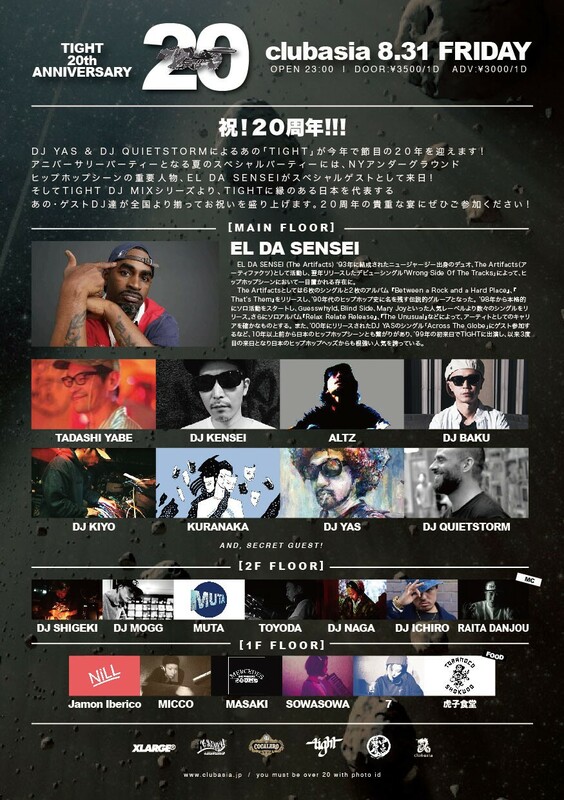 He perform live set with leader "Kazufumi Kodama" of Japanese reggae originator band MUTE BEAT. and He also participated in festival "Yokohama Triennale" of the art festival of the biggest in Japan with a set with "Shing02" in 2014. He also creates and plays music with Goma(didgeridoo), Dry&heavy, coba(accordion), NHK Koyxen, E-da（ex.Boredoms), Iccihie(ex.Determinations) etc. and then "The KAOSS PAD" used habitually all over the world is.. Delay, Reverbe, Siren.. It was developed by his play. The message carried out from his strong beat, reaches those of whom both legs are grounded to our earth, is delicate, yet, powerful.. the 21st century taiko drummer, waves his flag to peace and love for a harmonic future. Somewhere, now.